I drove to South Dakota yesterday and was wholly unprepared for the fact that Interstate 680 and Interstate 29 were both detoured — meaning I got to drive through Omaha and on a 26-mile journey east of Omaha before doubling back to get back on track. 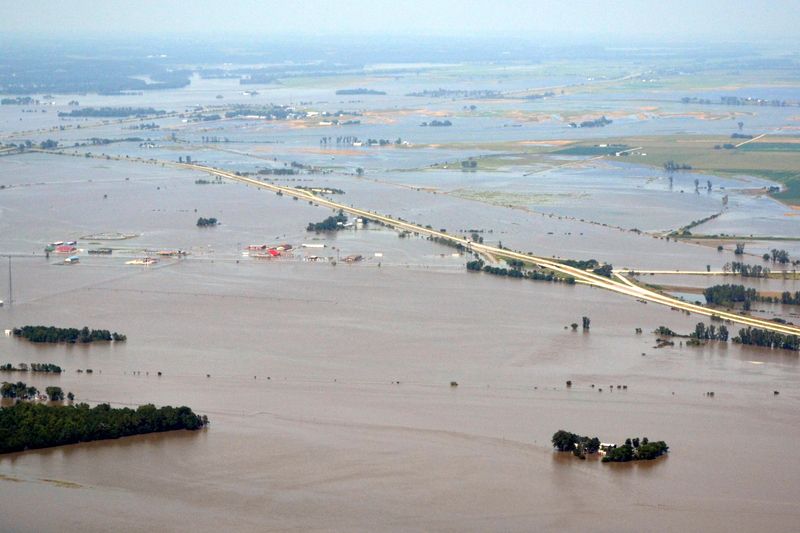 Yes, I know the Might Mo is flooding all over the Midwest — but you have to drive it to realize how many roads and bridges are under and impassable. It is incredible. 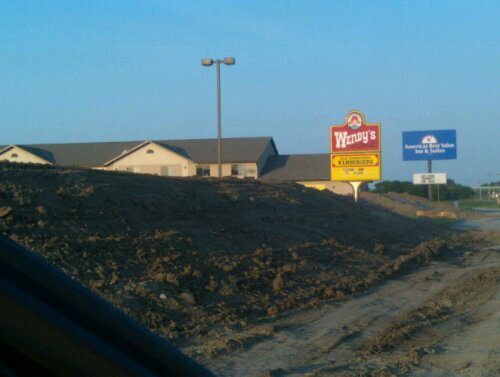 The Wendy's and a hotel near the intersection of highway 2 and Interstate 29 in early June. Thanks for reporting. Do you have any more photo’s? Option 1: Take I-680 -> Blair High Road (not sure if Hwy 75 is open to Blair) -> Blair -> Hwy 30 east to Missouri Valley -> I-29 north. Talked to someone Saturday who told me this route is open. When is the second wave of the tsunami going to hit does anyone know? ?